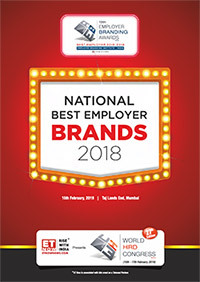 Your most important Brand relationship is unlikely to be your choice of breakfast cereal, your car or even your football team, but the brand you work for Your Employer Branding. How people feel about the Employer Branding is increasingly critical to business success or failure. Leading companies realize its importance in attracting and engaging the people, they need to deliver profitable growth. They are also begining to recognize that creating a positive brand experience for employees requires the same degree of focus, care and coherence that has long characterized effective management of the customer brand experience. 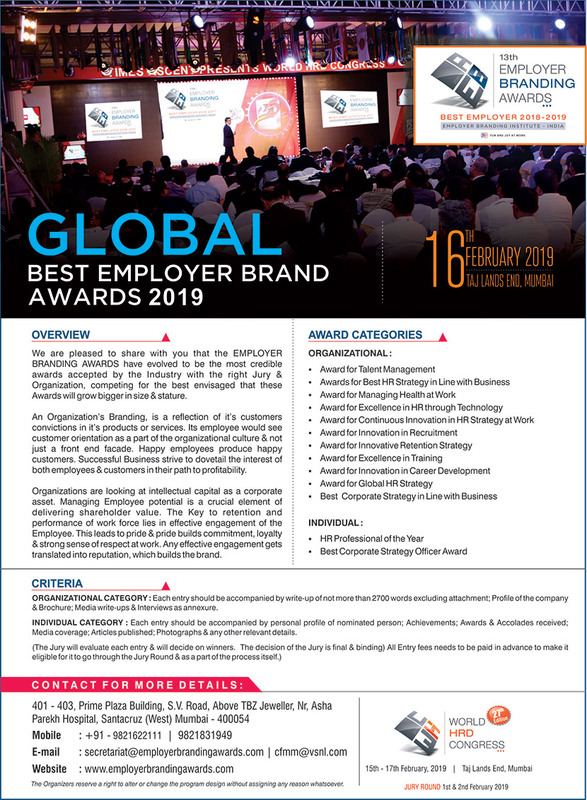 With the tremendous interest on Employer Branding, Worldwide this Awards will receive tremendous attention from both the media as well as amongst the corporates. 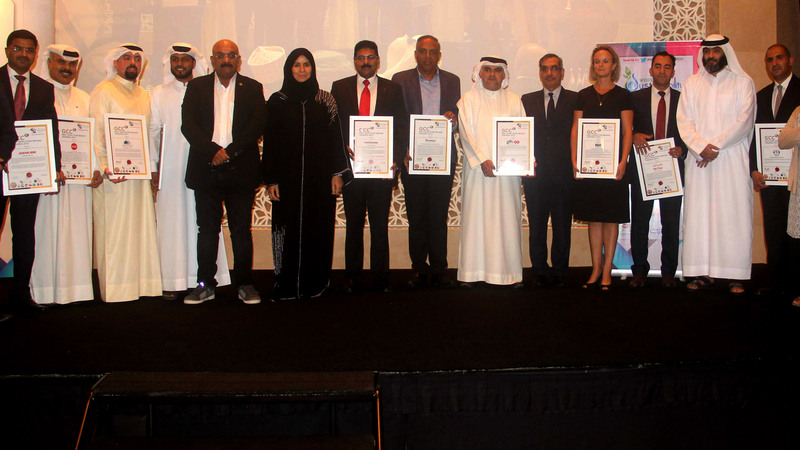 We look at this award to be most credible & transparent, which would be present on the day of ceremony where an envelope announcing the award winners is opened in the presence of several Professionals & the Jury. Thus the process entails a sincere approach to selection with a belief of creative value as an employer. Introduction: The Employer Branding Institute is a virtual organisation. Senior leaders in H.R connect with each other in the cyber space to share the best practices in Employer Branding and outstanding professionals in several countries who are contributing to “Talent Management, Talent Development and Talent Innovation” are a part of the Employer Branding Institute. 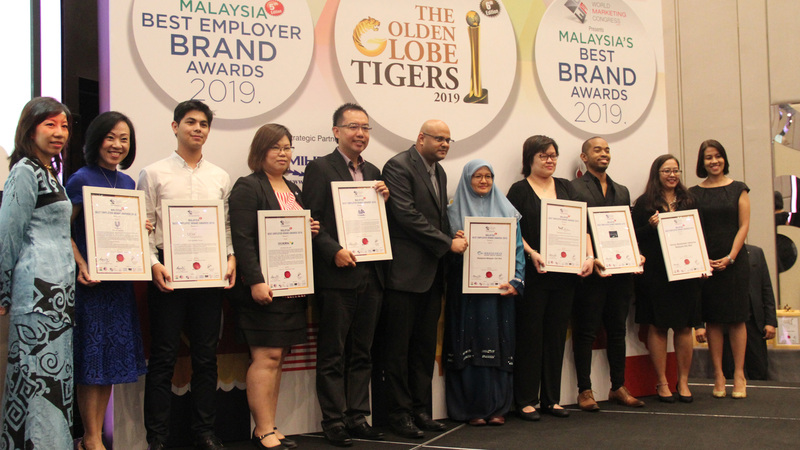 This virtual organisation is exemplary of the manner in which it is run and created a platform to celebrate the best in Employer Branding in several Asian countries. 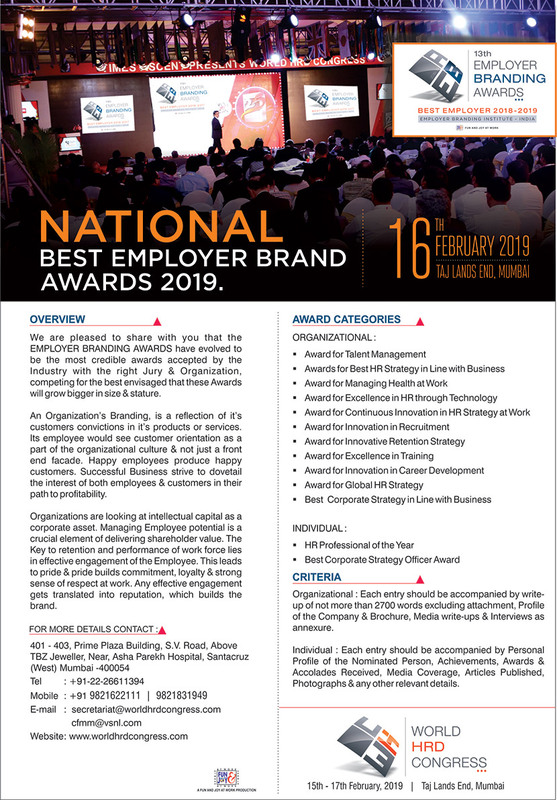 With over Six years of existence the network of Employee Branding Institute is increasing in size and stature with several H.R leaders from over 36 Countries, recommended individuals and organisation who are doing exemplary work. The celebration of this work will be seen on 23rd July, 2010 at Suntec City in Singapore for Asia’s First Employer Branding Award 2010. 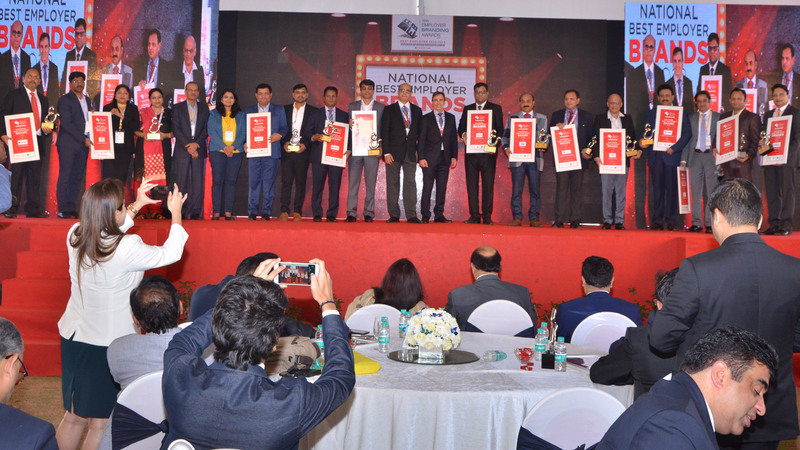 "Congrats on pulling off one of the best events showcasing the best of Indian Corporates and academia to the Global audience . I am sure it will become an important and sort after event in the annual calendar, cheers to the team and you for pulling it off." "This mail is to acknowledge the grand success of Singapore event. It’s only because of your untiring efforts and hard work. I just want to salute that. It is not easy to hold a convention of this magnitude in foreign land and that too single handedly. I also must acknowledge the great work done behind the scene by your wonderful team." "I completely echo the sentiments expressed by Sanjay. Well done, Doc---bravo! What a man,is he a man!!" "Thanks for your invitation at Suntec-Singapore . It was a great experience in all. 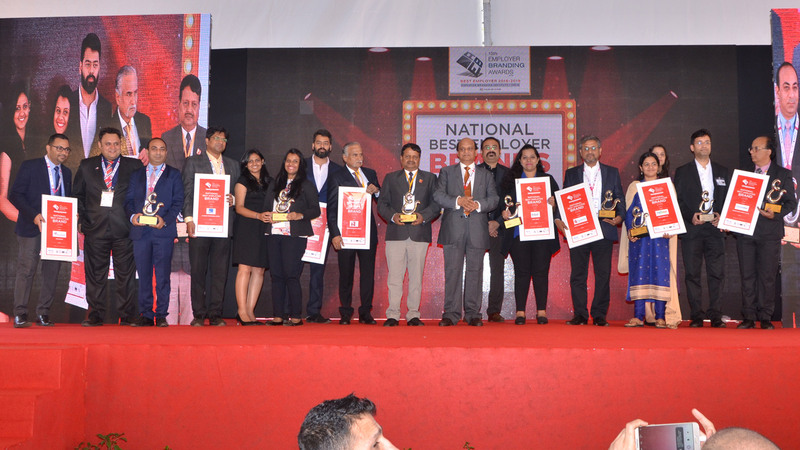 While it gave me an opportunity to network with other set of professional but certainly added pleasure was to receive three category awards. I can assure you that my effort always will be to participate in all the events hosted / lead by you ; and also be there wherever you want me to be present and have fun."